Dr. Peake was raised on a family farm in Knob Creek, Kentucky. He started working for the University of Georgia in February 2004. 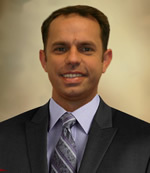 Before coming to Georgia, Dr. Peake worked as an instructor and researcher at Texas A&M University while completing his PhD. Prior to that, he was a high school agriscience teacher in Central Florida for four years teaching middle and high school classes. His scholarly achievements include 21 refereed journal publications, 58 refereed invited or refereed presentations. He is a member of the National Association of Agricultural Education and an officer with the American Association for Agricultural Education. Jason Peake is an Associate Professor within the department of Agricultural Leadership, Education, and Communication and program leader for Agricultural Education. Dr. Peake serves as editor for the Southern Region Journal of Agricultural Education, is a member of the Editing Managing Board for the Journal of Agricultural Education, and serves as the Vice President for the Southern Region of the American Association for Agricultural Education (AAAE). Dr. Peake is developing a model for community empowerment through food systems. Fellow (2018) American Association for Agricultural Education. Charleston, SC. Distinguished Lecturer (2017) Southern Region American Association for Agricultural Education. Mobile, AL. Outstanding Agricultural Educator (2014) Southern Region American Association for Agricultural Education. Dallas, TX. Distinguished Paper Award (2014) Gillman, D., Peake, J., Parr, B.A. (2014) The Merger of the NFA & FFA: Determining the Barriers to Success. Proceedings of the 63rd annual conference of the American Association for Agricultural Education, Dallas, TX. *distinguished paper award. Distinguished Paper Award (2014) Gillman, D., Parr, B.A., Peake, J. (2014) The Merger of the NFA & FFA: Perceptions of White Educators of the Period. Proceedings of the 63rd annual conference of the American Association for Agricultural Education, Dallas, TX. *distinguished paper award. Dr. Peake has published in the areas of distance education, teaching methodologies, curriculum development, and technology integration. Extramural grants (over $250,000) support advancement in agricultural education. Dr. Peake’s research agenda has recently shifted toward data visualization in Agricultural Education. Methods of Instruction in Agricultural Education, Curriculum Development in Agricultural Education, Research Methodologies, Student Teaching, Greenhouse Management, and Communications in Agricultural and Environmental Science.